Digital distance sensor Sharp GP2Y0D805Z0F to detect objects at a distance up to 5 cm. 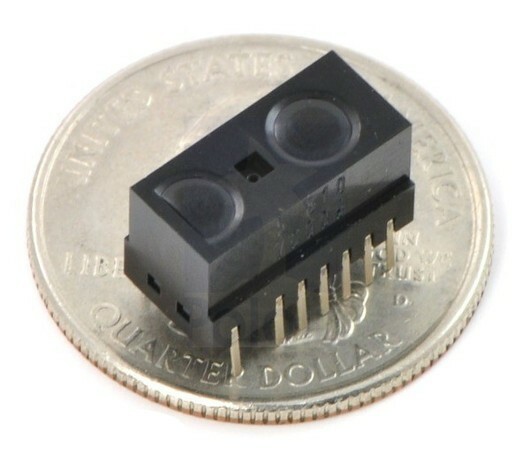 The sensor can detect object in range up to 5 cm. The output is a digital signal. 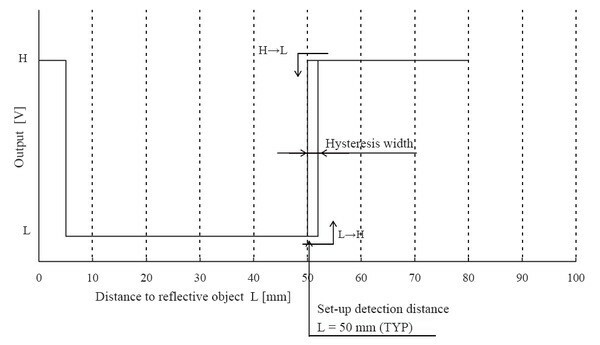 High (logical one) indicates no object in the field of view of the sensor. Low (logical zero) occurs when the object is detected. A drawing depicting a method of operating a digital sensor Sharp. Our range includes stand for printed circuit BOARDS that facilitate the installation and use of the sensor. Has all the necessary elements pasywane to work sensor and LED indicator, signaling the detection of the object. 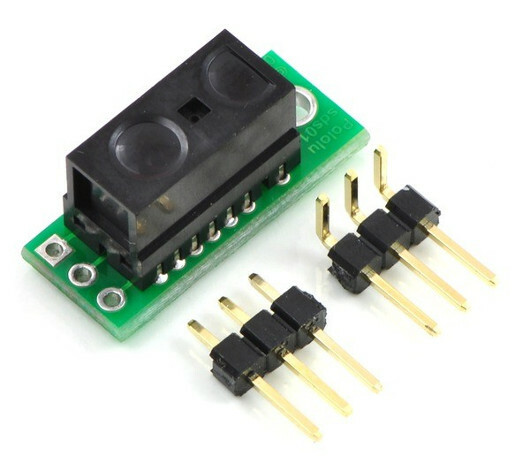 Using stand sensor maintenance is reduced to connect three pins: power - VCC, ground GND, and a digital logic output signal, marked by the symbol OUT. Circuit Board has goldpin insights that facilitate connection of the sensor with a set of runs (e.g. Arduino or STM32Discovery) via connecting cables. In our store available versions analog sensor object detection in range 4-30cm, 10-80cm, 20-150cm and digital sensors, to detect objects in field of view: 5 cm , 10cm and 40cm. The commissioning kit is built on the basis of STM32F407VGT microcontroller, it allows you to get to know the systems equipped with the latest Cortex-M4F core from ARM company. Board has also 3-axis accelerometer and a programmer/debugger ST-LINK/V2. Module microBOARD-M8-miniature set of run with the host microcontroller ATmega8A. The original module from the Arduino Uno with the AVR microcontroller ATmega328 in an interchangeable housing. It has 32 KB Flash memory, 2 KB RAM, 14 digital I/o of which 6 can be used as PWM channels, 6 analog inputs and popular communication interfaces.